Guarani Indians of South America first discovered the rejuvenating qualities of Yerba mate, but now it is quite popular in various parts of world. This herbal drink, which tastes like green tea, is made by steeping dried leaves of yerba mate plant in hot water. Usually, people consume it throughout the day having about 3-6 cups a day to get enough supply of antioxidants. In order to get the best taste and health benefits, it should be prepared with a special method given below. Following the traditional method, Yerba Mate Tea is steeped and served in a hollow calabash gourd, known by the name mate. Mate capes are usually made from metal, wood or ceramic but it is also drunk through a metal straw known by the name BOMBILLA. Take the gourd and cure it if using for the first time to avoid bitterness. Fill the gourd with boiling water to the top or metal rim and leave it for a few minutes. Now, softly scrape the membrane with a metal spoon, keep the stem in the center. Put it under sunlight to dry it out and your gourd is all set to be used. Put dry leaves of yerba mate into the gourd and fill it just over the half. Shake the gourd upside-down while putting your hand on the top. This process will get rid of the powdery leaves. Turn the gourd on complete left side while giving light shakes back and forth to ensure the presence of larger stems at the surface. Insert the BOMBILLA in the empty space next to the pile of leaves. Bring the end of BOMBILLA to bottom of gourd keeping it away from the powdered tip of pile. Add cool water into the empty space and let it reach the top of pile. Wait for it to be absorbed while keeping the powdery tip of pile dry. Pour hot water into the empty space. Boiling water leads to bitterness of mate, so make sure to pour hot water, not the boiling one. Do not jiggle the BOMBILLA or stir the herb or you will end up drinking the herbs instead of tea. Take a few sips of the mate to get to know the taste better. While sipping, you will hear the sound similar to drinking cold drink with a straw. Keep on drinking the mate until there is no water left. Add more hot water and new mate will be ready instantly. It is best to refill the gourd with hot water until it starts losing the flavor. 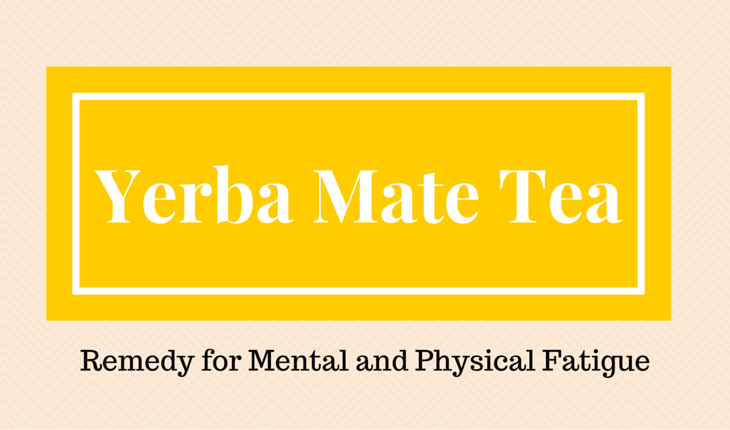 Depending upon the quality of mate, it can take about 10 refills before losing the flavor. Make sure to clean the gourd and dry it out completely or your mate will not taste the same next day. In some countries, Yerba Mate Tea is sold in teabag form and it can be steeped like other teas, just the water used should not be boiling. These days, people make Yerba Mate Tea using standard automatic coffee maker by putting mate instead of coffee grounds.